Includes 35 of the best selling Isacord 1000 meter cones. 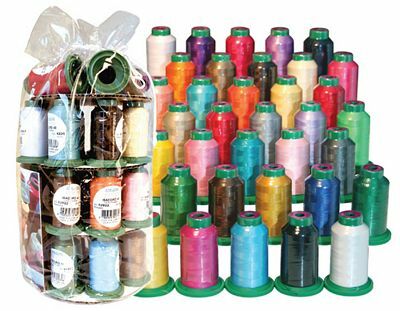 Packaged in an attractive clear thick gauge plastic draw string bag. It is a colorful display item.